In this episode, Brian and Mojo discuss Brian’s trip to Alberta to see the Lions season opener in Calgary and the stinker of a game that unfolded. They also preview the Lions season opener versus the Toronto Argonauts and how the Lions need to come out ready to play. Your twitter questions are answered once again in our Sports and Stuff Twitter segment where someone wins themselves a brand new Lions hat. Please leave us a comment on the site and let us know how we’re doing. You can also leave us a ranking and a review on iTunes, we would really appreciate it! Win tickets to the BC Lions and Edmonton Eskimos this Friday! Here at BCLionsDen.ca, we are all about getting people fired up about BC Lions football. The Lions are set to begin their 60th season in the Canadian Football League as they embark on a journey they hope will end with their 7thGrey Cup championship. I’ll be at the game Friday, but won’t be using my tickets, so I thought what better way to get people fired up then to give away my tickets for the game? So how can you win them you ask? As some of you may know, we just launched our new podcast this season and to help promote that, we would like you ask you a simple question that you can get the answer to simply by listening to Episode 2. What BC Lions players do promos for our podcast in episode 2? You can listen to the episode byclicking here. A winner will be randomly chosen from the total amount of entries (Here, Facebook and Twitter) using the random number selector at random.org. The winner MUST be able to pick up the tickets from me prior to 6:15pm the night of the game. Winner will be announced the afternoon of Thursday June 20th. If entering via Twitter you must be following us so we can DM you instructions. The 2013 CFL Canadian College Draft has come and gone and it will likely be sometime before the BC Lions see what they got from this year’s group of picks. Some are projects, some may look south of the border. Let’s take a look at the newest members of the Pride as we try and learn a bit more about them. Heading into the draft, the Lions were looking to address their non-import offensive line depth. The club saw three of its top choices plucked by other clubs by the time their pick came up, and rather than take a risk on a player that was drawing interest from the NFL, the club went off the board somewhat to select Steward, a 6’7” 290 pound lineman from Liberty where he will return next season to complete his final year of collegiate eligibility. The Lions project that Steward; a converted defensive lineman, could develop into a tackle in the CFL, but they will have to wait until 2014 to make that assessment. • Is still learning the position, but is going to be a great football player. Widely regarded as one of the best receivers available in the draft, the Lions selected Haidara with their second pick of the day. At 6’1” 215 pounds, he’s a big bodied receiver who the Lions feel can play multiple positions in the offense, be it wideout, slot or tight end. Head coach Mike Benevides added that Haidara was also at the top of the class in special teams where his career will likely begin with the Lions if he impresses enough at camp, giving him a chance to hone his skills under an already solid set of receivers. If that doesn’t work out, he still has another year of CIS eligibility left. Haidara speaks about his experience at the CFL Combine. Being a local product the Lions have seen a lot of Lokombo and the club simply felt that at that time in the draft, there was too much upside to pass up taking the chance. With Adam Bighill and Solomon Elimimian in place, the Lions have time to watch the Lokombo story play out, and if it ends up in their favour, they probably drafted one of the best prospects in this year’s class. He and DL Stefan Charles (who was drafted by the Eskimos) were consistently at or near the top of the prospect rankings. Lokombo will be returning to Oregon for another season, with his sights set firmly on next year’s NFL draft when he will be eligible for selection. The Lions dipped into some family genes with their selection of DB Matt McGarva of Windsor. McGarva’s brother, Sean is a Community Relations coordinator for the club. With the loss of Cauchy Muamba in the off-season, an aging secondary and the departure of Byron Parker, defensive back was another area the Lions were hoping to address. At 6’0”, 191 pounds, the Surrey native is a hometown product who lists himself on his Twitter account as an “avid BC Lions fan”, so he should be thrilled with today’s events. He was named a second team all-Canadian in 2011 after finishing the season with 48 tackles for the Lancers. He went on to earn his second-straight OUA all-star nod last fall in his final year of eligibility with Windsor, despite playing just four games. McGarva is a fitness nut and will “cut his teeth” on special teams according to Lions DB coach Mark Washington as the club tries to groom him for a non-import spot in the secondary one day. 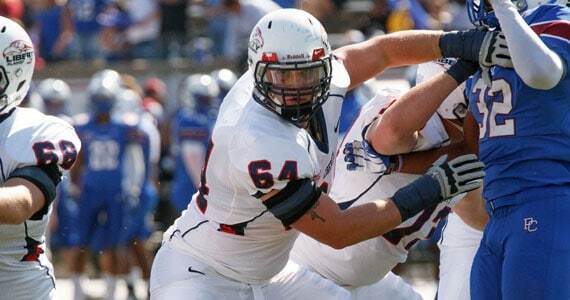 The Lions went back to the offensive line with their 5th pick of the day; selecting 6’5” 295 pound Matthew Albright from Saint Mary’s. Winner of a Russ Jackson award in 2012, presented to the player best exemplifying the attributes of academic achievement, football skill & citizenship, Albright played tackle for the Huskies and was named a conference all-star in 2012. His offensive line with the Huskies gave up just 10 sacks last year in 8 games and averaged a league best 201.4 yards a game. Matt Walker –Defensive Back – UBC (6TH pick, 50th overall). The Lions stayed local with their next pick selecting UBC’s Matt Walker, who had an impressive invite camp with the Lions in April. Walker will get a taste of the CFL at training camp this season, but will likely return to UBC where at 21, he still has three years of eligibility left. Walker played high school football in Vernon & from there went to University of Saskatchewan Huskies as a WR. He played one season with the Bratislava Monarchs in Slovakia in the spring 2011 In the fall of 2011 he came to the Okanagan Sun about 4 games in as a WR but transitioned to DB in his 2nd game. Walker played in one exhibition & 1 regular season game in 2012 for UBC before an ACL tear ended his season. He fully rehabbed the injury and is back at full speed (4.59 40 at April e-camp). (Thanks to Heather Foster for the info on Matt). With their final pick in the Lions added a natural defensive lineman who they hope to covert to the offensive line, selecting Guelph’s Cameron Thorn. The Ontario native also possesses ability as a long-snapper, a valuable commodity in the CFL. This past season the 6-foot-5, 290lb fourth year player appeared in eight regular season games for the Gryphons and racking up 19 tackles, and one sack. In 2012, Thorn played in the East West Bowl at Western University on the West Team. 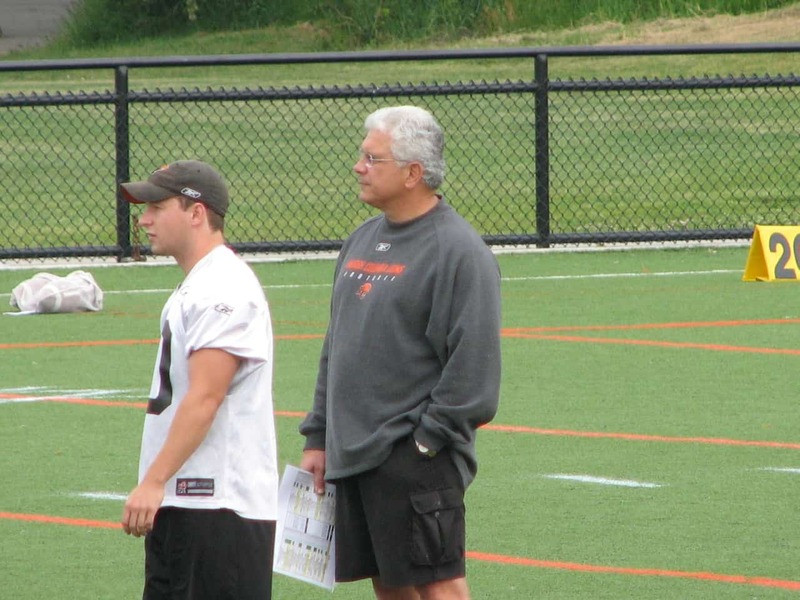 With GM Wally Buono on his annual Hawaiian vacation, there hasn’t been much news of late coming out of the Lions Den. But as we had into 2013, there are a few nuggets worth discussing including an attempt by a certain team to get Buono to move east. Scott Mitchell of the Calgary Sun reports that 2011 first round draft pick Kirby Fabien will have a chance to impress NFL scouts after being named to the West roster at the East-West Shrine game. The game includes the best that college football has to offer and is a high exposure event for players to get the big league’s attention. The Lions of course are still hoping to have Fabien in their lineup, as soon as this year, and with uncertainty along the offensive line due to injury issues to Dean Valli and Jon Hameister-Ries, never mind the possible departure of Jovan Olafioye, Fabien heading south would be a blow. That said it was the reason he returned to the Calgary Dinos instead of signing with the Leos last season. A chance to play in the NFL is every young players dream and you can’t fault Fabien for pursuing his for himself and for his family. If it doesn’t work out for him, Fabien told the Sun he has no issues with playing in the CFL. Tim Baines of the Ottawa Sun reports that Jeff Hunt and the Ottawa Sports & Entertainment Group are leaving no stone unturned in their search for a quality football man to run their operation. Baines writes that Hunt approached the Lions about permission to speak with GM Wally Buono, who quickly informed them he was quite happy in Vancouver. It’s of course a compliment to Buono and to the Lions organization that he was approached, but Lions fans everywhere have to be pleased it didn’t go any farther than a courtesy phone call. The Lions have a solid and stable football operations team in place, a luxury that many teams would love to replicate. I recently attended a Seattle Seahawks game and couldn’t help coming away total impressed. 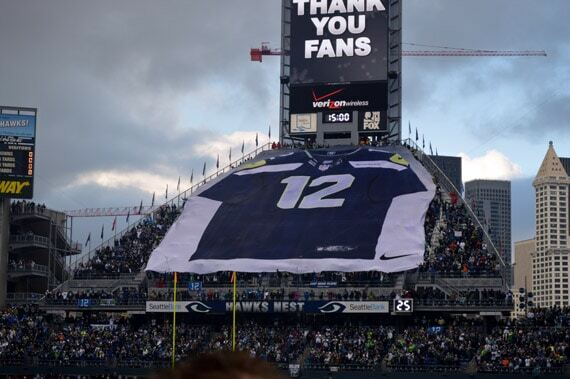 I’ve been down before but this trip really hammered home how well the Seahawks have marketed the “12th Man” concept to the fans. Everyone there buys in and on game day it is an event all around the stadium. From the Blue Thunder percussion group, the tailgating, Touchdown City and the raising of the 12th man flag, the Seahawks brand is everywhere. The city takes pride in having the loudest stadium in the NFL, and if you haven’t experienced it live, you haven’t heard loud. Of course it’s a different league and a different culture south of the border; Saskatchewan and Winnipeg would be the smaller scale versions of the Seahawks model, with the Riders marketing their fans as the 13th man. With their new stadiums in the works, both teams have a real chance to build on the pride they take in having the loudest stadiums in the league. When the building is full and the fans are into the game BC Place is a very loud stadium, but those occurrences are all too rare in BC. The crowd is good and becoming more involved, but it could be so much better if they felt part of the whole experience. The Lions were all over the media last off-season following their Grey Cup win, but it didn’t result in the increased attendance they had hoped for. As a fan you can’t help to be somewhat jealous of how passionate fans in these markets are about their teams. It is up to the team to find something for the fans to get behind so they can help build and instill this type of passion among its fan base. They only need to look 2 hours south to get some really great ideas. All the best to the Seahawks this weekend! Go Hawks! Official BC Lions Tweetup: Come and roar at the Shark Club this Friday! On Friday night, the Lions travel to Calgary to battle the Stampeders in their final road game of the 2012 regular season. Not only are the Lions in first place in the league, but as far as I am concerned, they’re first when it comes to engaging with their fans on social media platforms. To mark the occasion of the final road game of the year, why not join your fellow @BCLions tweeps at the Official BC Lions Tweet-Up at Shark Club Vancouver? Kicking off at 5:45 pm, Friday’s free event will feature great food and beverage specials and a variety of awesome prizes including autographed photos, Lions merchandise and a pair of tickets to the club’s upcoming home game on Saturday, November 3. You never know, there may even be a special guest or two drop by to say hello! Space is limited to 50 attendees, so register now to ensure you can be part of this special event! As always, don’t forget to follow the Lions on Twitter at twitter.com/bclions and join the conversation about Friday’s event using the hashtag #Lionstweetup.